The 10 Best Tattoo Parlors in Rhode Island! 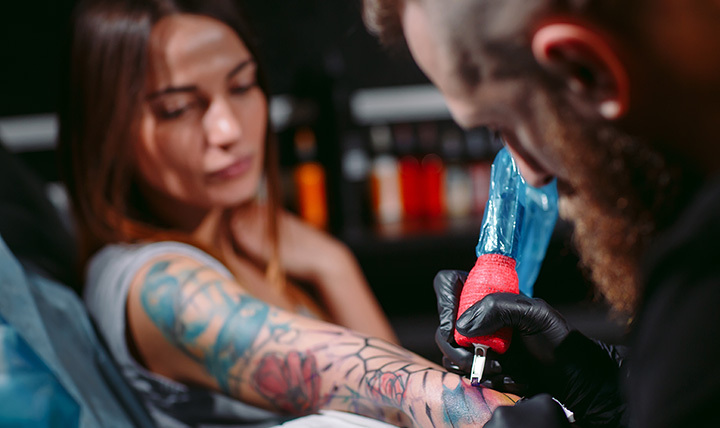 If you’re looking to get inked—whether it’s the first time or your fifth time—you want to find an artist and shop you trust! In Rhode Island, you’ll find highly-skilled artists working all across the state. From hip Providence shops to comfortable North Kingston studios, here are the 10 best places to get inked in the Ocean State. With locations on Wickenden Street and Atwells Avenue, Providence tattoo always welcomes custom clients and walk-ins. They occasionally feature guest artists in addition to their usual rotation of staff. Unicorn Ink’s artists will work with you to create the perfect tattoos. Their line work is fantastic, and if you come in with an idea, they’ll build off of it to develop their own spin, too! This little tattoo shop has been in operation since 1994 under Don Lussier. And those who have gotten tattoos from there back in the 90s still look fresh and bold today! They are all about consistent, long-lasting work. The artists at Black Lotus Tattoo are always friendly and welcoming. They’ll make sure you feel comfortable getting inked, whether it’s your first tattoo or your fifteenth! Resident tattoo artist Dave will make you want to come back for more tattoos after your first! Dave treats his clients with genuine care and interest, making sure to follow up on each and every one of them. Casey’s shading and contrast are always consistent—even when it comes to tattoos with depth and dimensions. Some people don’t trust anyone else to do their tattoos! Powerline specializes in detailed faces and color tattoos. With incredible shading, they can make any tattoo look as if it has enormous depth. With good prices and a clean shop, this tattoo shop has become a go-to for many in Providence! Even if you’re nervous around needles, they’ll make sure to put you at ease. Inflicting Ink specializes in cosmetic tattooing and laser tattoo removal—they even host trainings on how to do just that! Tattoo artist Jeff Goyette has earned a reputation as one of the best tattoo artists in the area—he even came up with the idea of a traveling, for-hire tattoo truck perfect for private functions! Richmond Street Tattoo is owned by Glowroious George, who has curated a bright, welcoming environment. Ladies will be especially welcome here—they make up 70 percent of the clientele, and nearly half of Richmond Street’s artists crew are women.